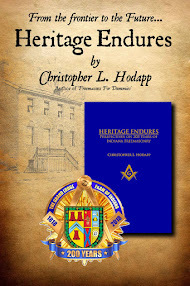 The brethren of Mystic Star Lodge No. 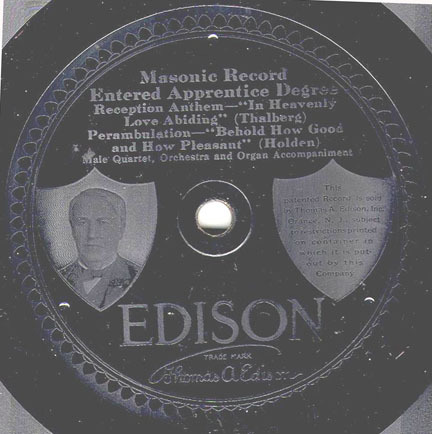 69 in Rushford, Minnesota have a collection of early 20th century Edison wax and disc recordings of Masonic music on their website. They were created for lodges that had no organ or maybe just needed a little goading to get into the musical spirit. They were recorded between 1909 and perhaps the late 1920s. The collection includes music for the Entered Apprentice degree, the Master Mason's funeral dirge, and a march created for Boston Commandery of Knights Templar. 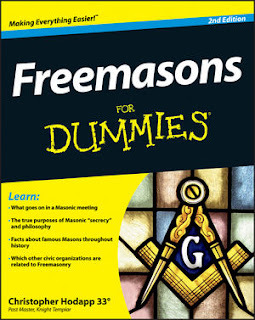 The site also includes lyrics, in case your lodge wants to revive some of these toe tapping hits.